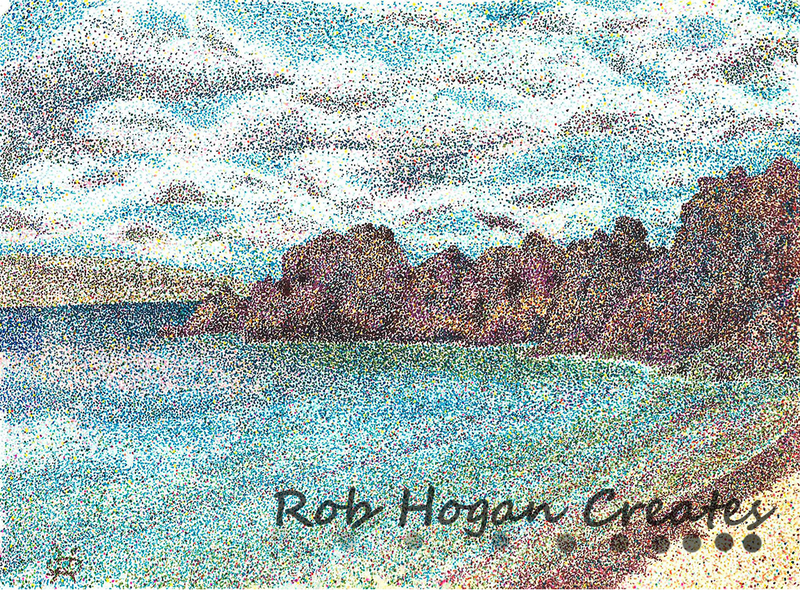 Rob created this piece while sitting on a beach in Maui on holiday. This was the first piece which launched his modern art practice. It involved over fifty hours of work to complete and has thousands of hand placed ink dots. This work is available for purchase or exhibition.